Below are a few of the Archive's autographed photographs that have been signed for the archivist Ailina Rose. Suzanne Farrell, New York City Ballet principal dancer. Gillian Murphy, American Ballet Theatre principal dancer. George Zoritch, Ballet Russe de Monte Carlo principal dancer, in costume for L'apres Midi d'un Faun while at Jacob's Pillow. Gelsey Kirkland, New York City Ballet and American Ballet Theatre star. Suzanne Farrell, NYCB Principal dancer. 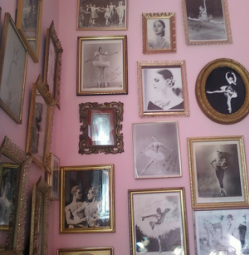 Suki Schorer, New York City Ballet principal ballerina. Galina Panova, Principal Ballet Artist with the Tchaikovsky Opera House, Perm and the Kirov Opera and Ballet, St. Petersburg. Sono Osato, Ballet Russe de Monte Carlo star ballerina and "On the Town" broadway actress. Valentina Kozlova, Principal Dancer with the Bolshoi Ballet. Kozlova later defected to the United States where she became a Principal Dancer with New York City Ballet. 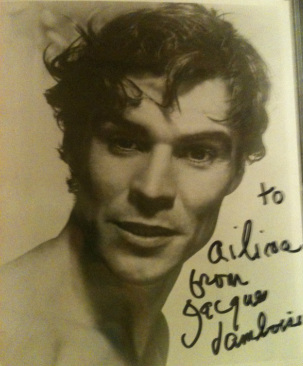 Jacques D'Amboise, New York City Ballet principal dancer and founder of National Dance Institute.